Using small amounts of fluoride on a routine basis can help prevent tooth decay, and our office offers in-office, professional strength fluoride application. Fluoride helps prevent mineral loss from tooth enamel and helps strengthen areas that are weakened and beginning to develop cavities. Fluoride also helps reduce acid attacks that break down the tooth. Fluoride is used in many instances as cavity fighter; at the dentist, in toothpaste, and in much of the public water supply. It occurs naturally in varying amounts in water sources such as rivers, lakes and even the oceans. Fluoride is naturally present to some extent in certain foods and beverages but the levels vary widely. The varnish is painted directly onto the teeth with a small brush, much like a nail polish application. It is much easier for young children to tolerate than fluoride trays. The fluoride varnish remains on the tooth surfaces for four to six hours. This facilitates maximal fluoride uptake and strengthens the tooth’s surface making it more resistant to the decay process. Fluoride varnish also minimizes the risk of inadvertent fluoride ingestion. The ADA considers fluoride varnish to be safe and efficacious as part of a caries prevention program that includes caries diagnosis, risk assessment, and regular dental care. Studies show that toddlers who have fluoride varnish applied to their teeth by a dentist twice a year are four times less likely to get cavities in their baby teeth and adolescents in orthodontic treatment can reduce areas of weakened enamel during treatment by up to 76% with more frequent varnish applications. Remember, Fluoride alone will not prevent tooth decay! It is important to brush at least twice a day, floss regularly, eat balanced meals, reduce sugary snacks, and visit your Pediatric Dentist on a regular basis. Dentists often include fluoride treatments in patient visits to prevent caries (tooth decay) or repair teeth. In children with a high risk of developing cavities, fluoride treatments may be used to help fight the spread of decay. 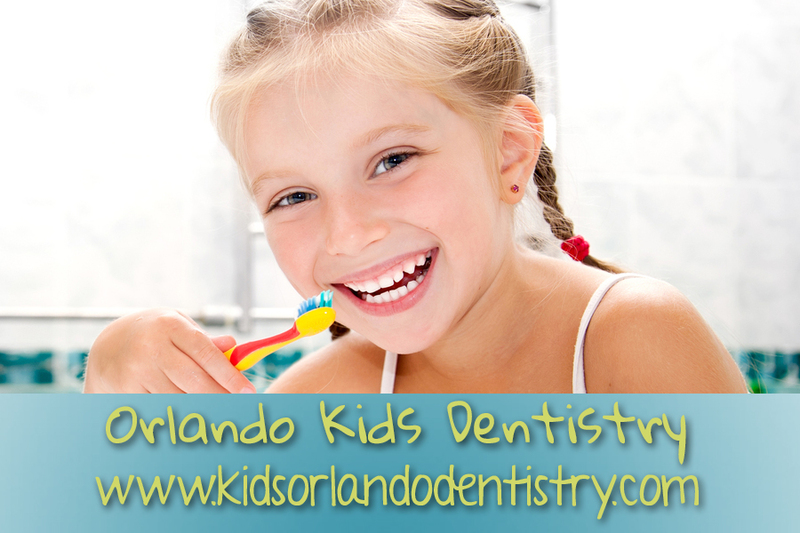 Orlando Kid’s Dentistry offers fluoride treatments to children of all ages. Fluoride treatments generally only take a few minutes and may be repeated every 3, 6, or 12 months as needed. There is no need for a sedative or nitrous oxide, since fluoride treatments are done by simply rubbing the solution directly on the teeth with a cotton swab or brush.